Come join UIAAAN and TAP-Chicago for our annual BBQ at the beautiful Montrose Beach to finish off the long weekend and the summer in style. Come join UIAAAN and TAP-Chicago for our annual BBQ at the beautiful Montrose Beach to finish off the long weekend and the summer in style. Besides the mouth-watering barbeque, warm weather and great company, there’s going to be nets for beach volleyball and plenty of sand for football, frisbee, etc. Don’t miss out on the fantastic party and chance to network/meet new and old friends. Awesome Food- hot dogs, burgers, brats, chicken, steak, vegetarian options, and sides. Awesome Drinks- beer, wine, and sangria in addition to soft drinks and water! Tickets for this end-of-summer eat/drink/play/mingle extravaganza are only $20 prepaid through Eventbrite, and $25 at the door. The deadline for early registration is Thursday, August 20th at midnight. Getting There: There is plenty of street parking. 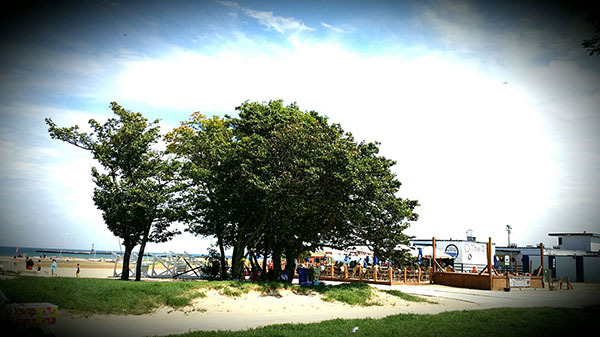 Beach is also easily accessible via CTA Red Line (Wilson or Sheridan stop), and CTA buses #146 and #81.